After sailing, we all gather at our house for dinner etc. Our grandson, Z, is more intersted in the boat. He played in it, rigging lines, climbing in and out and playing nicely with his sister, Marina. They are such good kids. 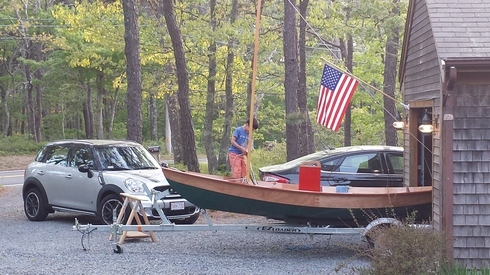 Some influence from Swallows and Amazons thanks to their mom. A terrific picture of a small boy lost in the fantasy of sailing. First, we cleaned the basement. 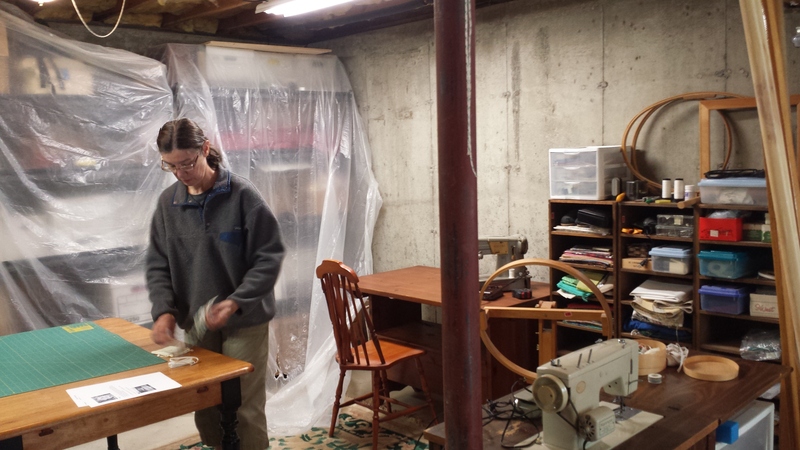 The space where we built the boat is now Elizabeth's sewing room. Not remarkably elegant... but... it is spacious and well lighted. We even put the old dining room rug from our Medford house on the basement floor. The drop cloths are coming off soon. Pictures will get hung and then, darn, the Sewing Cave will be nice. A few days later, we tackled the garage and gave it a good cleaning. Also exercised the leaf blower/leaf vacuum and cleaned up around the house and garage. After the inaugural launch of Zeppelin, a few scars lead to a touch up paint job. 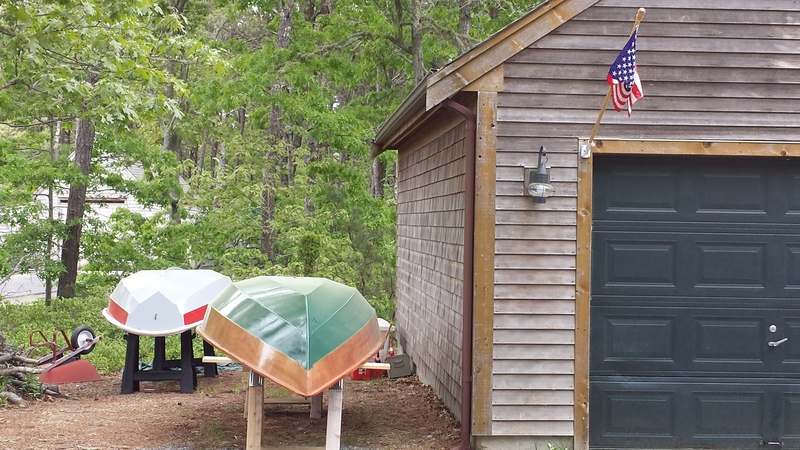 That's done and the Ford is back in the garage; the boats are stored outside. 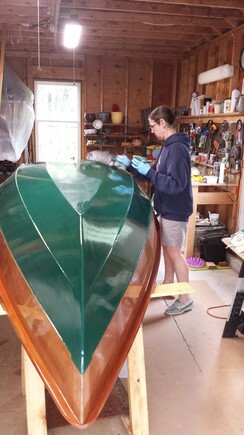 The Skerry is upside down, not on trailer, to keep rain water from collecting in the bilge.